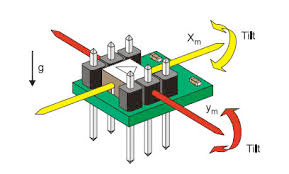 A Hall effect sensor is a sensor that measures the change of the strength of the magnetical field. When a little (or big) magnet changes position relative to the hall sensor, the voltage output of the (active) sensor will change. 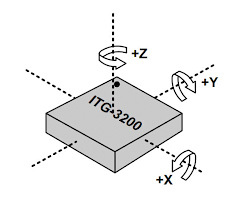 This sensor can for example be used measuring the moving parts of a device. The movable parts, applied with a magnet will generate a changing magnetical field and thus provide the MicroLab (or other device) with a voltage change. The only problem is that this voltage change is very little. 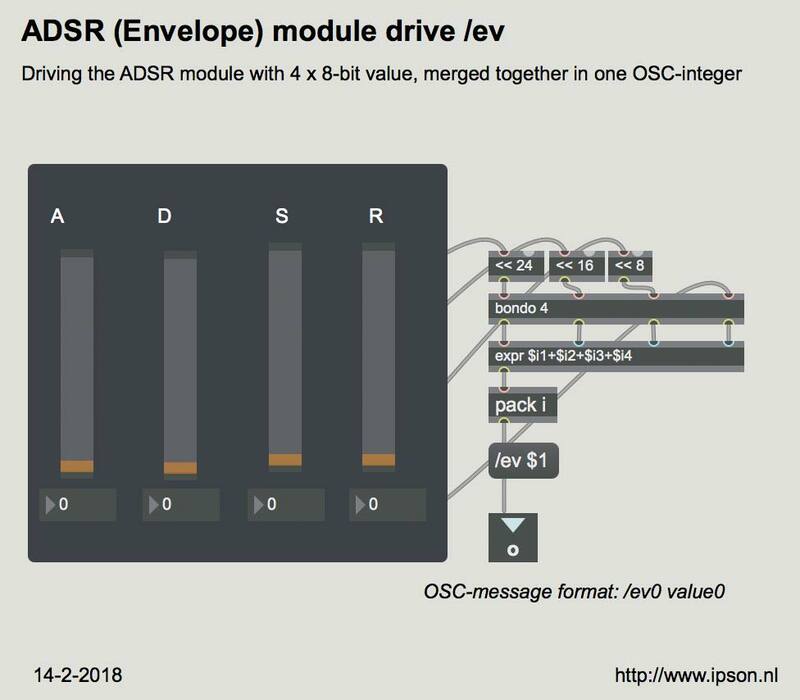 If you want to connect this directly to the MicroLab, the MIDI/OSC range you will get, will be too little. This means you first have to make an amplifier circuit. With an accelerometer you can measure dynamic acceleration (e.g. the moviements , vibration), rotation and static acceleration (gravity). 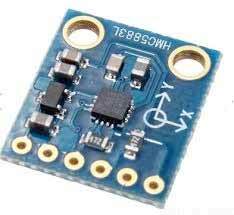 The accelerometer has a digital output that can be used when it is directly connected with a processor. 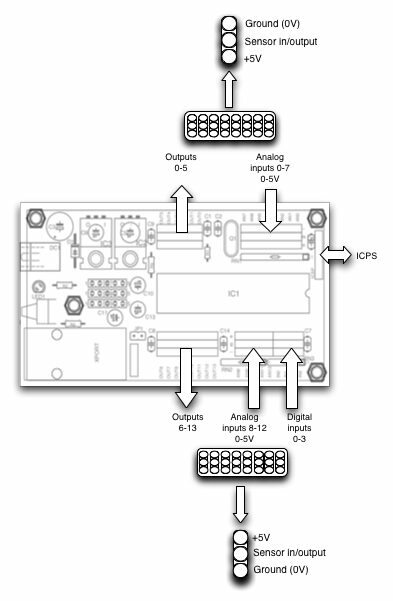 It produces a pulse width modulation (pwm) output. This same digital output can also be used analog. 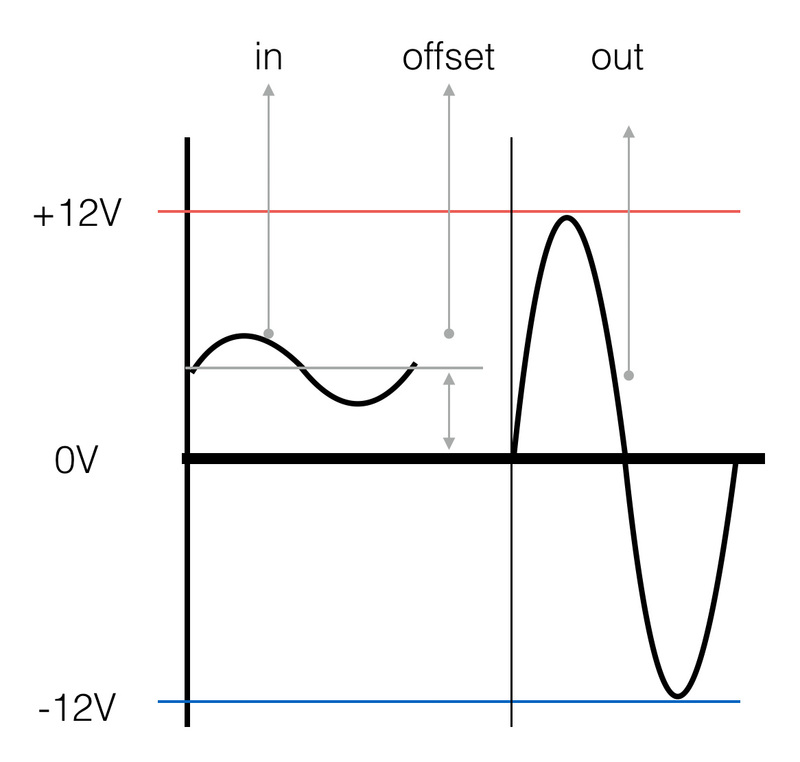 Both X and Y outputs connected to a RC-filter (low-pass), will result in a dc-value, which changes when the chip is moved. 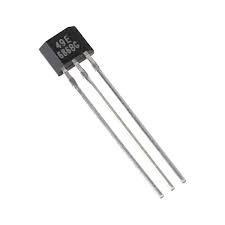 Also this relative little voltage change must be amplified first, before it can be connected to a sensor interface. The same circuit is used as mentioned above: opamp non-iinverting amplifier with offset trim. The amount of amplification will depends on the value dc-output. Pressure sensors produce an electrical signal proportional to the pressure. 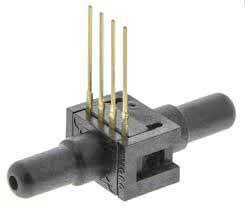 There are five main pressure sensor types: absolute, gauge, vacuum, differential and sealed. Each of these sensors measures different pressure variables. The first of these sensor types are absolute sensors. These devices test for absolute pressure, which is a measurement of pressure, relative to a perfect vacuum. Gauge sensors are the most common type of pressure sensors. They can be calibrated to measure pressure with respect to atmospheric pressure at a given location. Vacuum sensors are used in situations where the pressure level that is being tested for, is lower than the localized atmospheric pressure. Differential pressure is measured by reading the difference between the input of two or more pressure levels. Finally, sealed gauged sensors measure pressure relative to one atmosphere at sea level (14.7 PSI) regardless of local atmospheric pressure’. With the ultrasonic sender and receiver it’s possible to measure distance. These sensors can be directly connected to the IpsonCompact; no extra electronics is needed. An ultrasonic sender / receiver has a resonate frequency of around 40kHz. The sender generates bursts (short pulses) of 40KHz. The receiver picks up these bursts and ‘tells’ the processor to stop sending the bursts. The time delay (the distance) is being converted to MIDI. In the “robot-world” they do use some other ultrasonic sensor, both sender and receiver on one board (srf05). 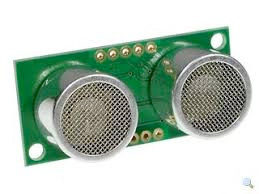 The sensor board consists of a complete processor and two ultrasonic transducers and it generates pulse width change. For reading the distances, or converting it to a ‘sensor interface ready dc-value, an extra processor will come in handy. Distance can also be measured with special infrared sensors, like the Sharp: this sensor is a complete circuit. 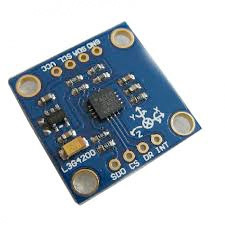 It generates a dc-voltage output (0-5V), which can be directly connected to the input of a sensor interface. The compass sensor senses the position of the North pole. 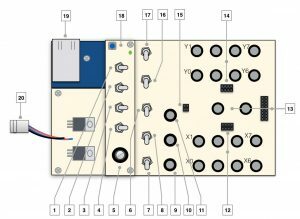 The output is a small voltage change, that needs to be ‘tweaked’ with extra electronics. Wiki:” A gyroscope is a device for measuring or maintaining orientation, based on the principles of angular momentum”. 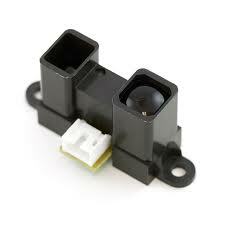 Also this type of sensor will provide you with multiple tiny voltage changes. 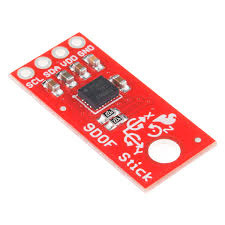 There are also sensors available that are a combination of the sensors mentioned above, the so called 9 degrees of freedom or 9 dof. 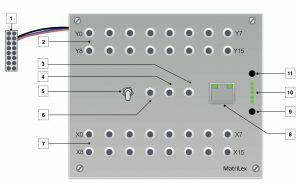 These sensors communicate mostly with I2C communication protocol. So no small voltages as an output, but serial data.